This new style made its debut on the Autumn/Winter 18 runway. Called the Mi-NY, it’s designed to be the ultimate functional bag for the man on the go—whether he’s travelling or simply traversing a city with a busy schedule. Made of ultra-supple butter calf leather, the soft hobo shape moulds to the body for comfortable carry. 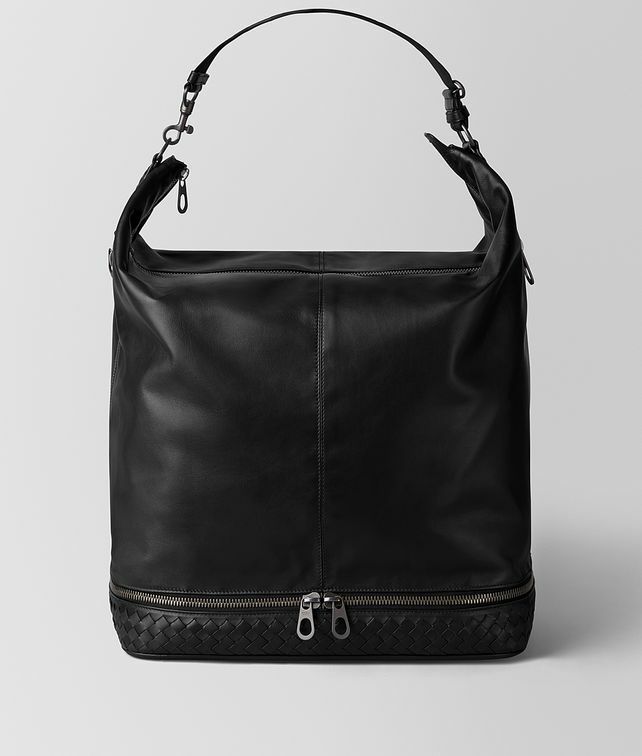 The bag’s lower hand-woven section features a separate padded compartment to secure high-tech devices and allow easy access. Two slim lateral pockets are ideal for stashing essential items like a smartphone or passport. The nylon and intrecciato strap is adjustable so that the bag can be comfortably carried over the shoulder or across the body. Finished with a cotton lining. Height: 48 cm | 18.9"